Ships from and sold by janson118. See professional results quickly with the HP ScanJet 7650 Document Flatbed Scanner. 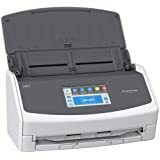 Get quick, unattended scans at up to 12 pages per minute (six ipm duplex) using an automatic document feeder that holds up to 50 pages. Warms up quicklypreview scans in about six seconds. Scan at 2,400 dpi optical resolution and 48-bit color, and transfer scans quickly using Hi-Speed USBcompatible with USB 2.0 specifications. Get professional-quality text and images at 2400 dpi optical resolution and 48-bit color. Scan 35 mm slides and negatives with the included transparent materials adapter. Seamlessly integrate with your existing software and optimize scan speeds using the ISIS and TWAIN drivers. Crop, restore, edit, and add images to documents with the included editing software. Use the five easy one-touch buttons for scanning documents and photos, making copies, scanning to PDF files, and sending e-mail. Organize and manage your files with the included software and drivers. 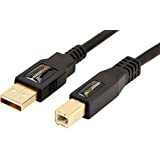 Get set up and transfer data fast with the Hi-Speed USB (compatible with USB 2.0 specifications). Scan legal-size documents in simplex mode using the automatic document feeder. 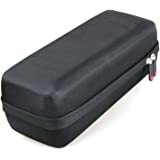 Scan 3-D objects and bulky files with the help of the adjustable lid. 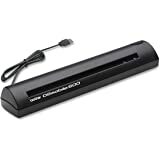 Conserve space: the landscape-orientation style makes this scanner compact enough to fit on a shelf. 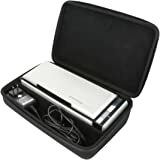 Scan thick books and files with convenient adjustable lid, plus use included adapter to scan 35 mm slides and negatives. Scan documents into editable text, organize and share digital files, and edit images with included document management and photo-editing software. ISIS and TWAIN drivers included to optimize scanning speeds. 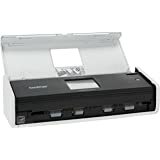 Use one-touch function buttons to scan documents, copy, scan to PDF files, e-mail, and scan images. Save space with a landscape orientation. Scan legal-size documents in simplex mode using the automatic document feeder. 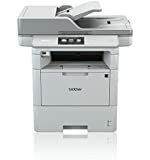 The ScanJet 7650 is backed by a one-year warranty that includes award-winning HP Total Care support. I agree that I did have some problems with paper jams in the ADF. But then I noticed that it seemed to mostly happen with smaller width paper (11" long, but less than 8.5" wide) and legal size documents when trying to duplex. Well, then I read the manual (duh!) and it clearly states that the scanner is not set up to duplex legal size documents or unusual sized paper. So I thought that was a problem. 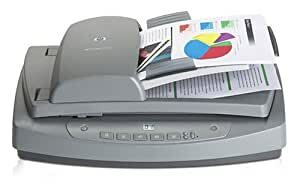 But I am trying to scan all my documents into electronic form and so the scanner is only part of the solution -- electronic document management software is the other part. I got PaperPort Professional 10, set it up with the ISIS driver (the TWAIN driver is not so good) using the PaperPort scanner setup utility running all scanner tests -- and it started working perfectly! The key with legal and odd size documents is not to duplex! Scan one side with the ADF then turn the documents over, put them back in the feeder and let PaperPort do the collation. It works GREAT! 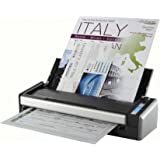 This is EXACTLY the solution I have been looking for since I started scanning in all my paper documents about 5 years and many failed hardware/software solutions ago. 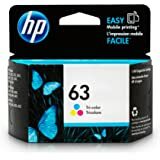 I am using none of the software that came with the scanner, just downloaded the latest drivers directly from the HP website. The only issue I have noticed (which could explain why some people think the ADF is "broken") is that when a jam occurs (which hasn't happened since I started doing things using my new procedure) is that the ADF gets into a wierd state where it thinks that there is no paper in it even though there paper there. The fix: unplug/plug in (not turn off) the scanner and let it reinitialize. There are rollers in the ADF which get stuck in the down position during a jam that don't ever seem to reset unless you power cycle it (and you can't really turn off the scanner with the power switch -- it just puts it into standby mode). 3.0 out of 5 starsDecent Enough. . . Yes, it does seem to jam a lot, and when it does, it does seem to be a pain to get it out, depending on where it is. But for the hundreds of documents I scan in, mainly office papers, it does the work well enough. It creates searchable PDFs, and I simply scan in a document through the ADF, and it creates a file, subbed by the month, and I'm able to later search the documents by the month. I also use the flat bed for documents that are strangely shaped, or look as though they won't fit the feeder, but those are rare for me. Overall, I'm happy with it, but I do wish I got the item I linked to above instead, because I don't think I would've expected as much for only $260. For the price of about $460 that I paid for this. . . I think we all expected less hassle with jams. . . I have had problems with this scanner and document jams in the adf also...and they are regular 8.5 x 11 sheets. I have also had problems with a blue line running through my docs (if in color, grey if in b/w)and there is no way to clean the glass. The printer does not even arrive with perfectly clean glass so everything has smudges all over it. 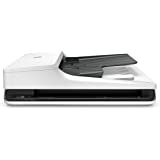 Right out of the box, this scanner would bind up, crash, crash my computer, etc. I've got to hand it to HP. It's been years since I've seen the blue screen of death - and good old HP managed to accomplish that on my Vista system! The Auto feed tray is supposed to accomodate 40 pages. The most I've tried stocking it with is 20 and my most successful "run" to date is 4 and a half pages scanned before crashing. Back when HP was a calculator company they were certainly adequate. They should have stuck with them instead of attempting to build printers. Oh... and another thing. Like all of HP printers, this one comes with a huge bloated install (190 meg)!!!! If you get one of these, I'd recommend not trying to scan more than 2-3 pages at a time. It's possible the scanner can keep up with that work load. Lucky for me I've got a boat so I can always use this piece of junk as an anchor. 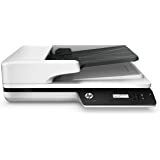 If you are looking for a reliable scanner with a duplex automatic document feeder, save your money and sanity and keep looking. 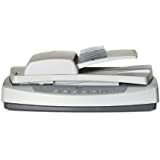 Save the hair thats left on your head by avoiding this scanner and the included automatic document feeder jammer. Not only are the paper jams frequent (on the type of stuff you would regularly scan, I'm talking about bank statements that come right out of the post mail - not tissue paper) but a paper jam can actually destroy your documents if they get stuck mid-scan. There is no easy release button or pull. 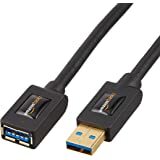 Pull tightly, and hope that the bottom advice piece of your phone bill does not take up permanent residence in the duplex bay of your scanner. A software update will not fix the paper jam feature, so just look elsewhere. 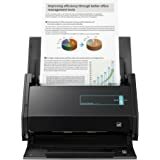 HP, if you are reading, allow the user to select duplex or non-duplex for each scan.